For most drivers, having a high-quality sound in their cars is important. Factory sound systems are just fine, for most drivers. However, if you want the ultimate sound quality, you will have to replace the sound system. Even then, if mistakes occur, the sound quality won’t be very good. This article sole aim is to show you, the best tips on how to get the best sound quality for your car! It’s not only about buying the best car speakers, but also knowing how you can personally improve sound quality of your car. 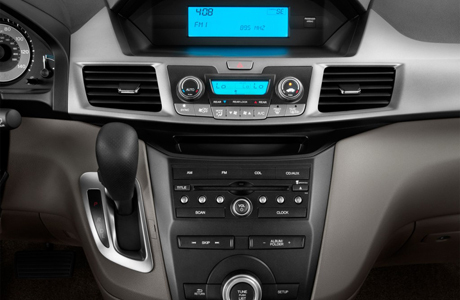 In essence, you can improve the factory and upgraded sound system in your car, with simple tweaks. On the other side, there are more advanced techniques to achieve your goal. Here are some of the best ways to get the best sound quality. Even if you have the best sound system on the planet, but you use music files with a high compression rates, you won’t get the best quality of the sound. That’s why you need music files that have low compression. In that case, the sound is going to be crystal clear and the bass is going to be much better. The most important thing to know is the bit rate. When it is higher, the songs are going to have a much higher quality. Factory speakers won’t be able to provide the best sound quality, no matter what type of them you have. The first step is to replace them. Despite the fact, manufacturers claim that they offer high-quality speakers in their cars, they are cheap, so the sound quality is low. The best part is the variety of aftermarket speakers on the market. You can always find an affordable speakers that offer a much better sound quality than the factory units. In addition, replacing them is definitely something you can do by yourself. You can trying getting the 6.5 car speakers, you won’t regret this. No matter what power your sound system produces, it isn’t enough, Even if the manufacturer claims that you get 200 watts, which is more than enough for most drivers, you can get much more with a new amplified. A professional unit will increase the power of the sound system and make the quality much better. Although, there are some cheaper amplifiers, if you want the best, you will have to pay more. DACX stands for digital-to-analog converter. Every car with a sound system has it. However, the manufacturers use cheap systems, so the quality isn’t very good. Replacing the unit is a much better choice. A useful trick is to connect your iPod or a smartphone to the aftermarket CD player. If this is possible, you will bypass the DAC system. Simply said, the sound quality is going to be much better. This solution is cheap, but has an impressive effect on the quality of the sound. In essence, road noise and vibrations have a negative effect on the sound. Having speakers in your door panels, means that they will have a lot of vibrations, so the quality of music is going to be reduced. Dynamat can solve this problem. On the other side, it also reduces the road noise that disturbs the sound frequencies. All of this means that the sound is going to be better, especially when you are driving fast. Without this addition, the sound quality will be better at 30 mph, but lower at higher speeds. Have you ever wondered why music rooms have solid elements and walls, floors and ceilings made from the same materials? It is that because different materials reflect sound differently, which has a negative effect on the sound quality. A car has severe issues when it comes to sound reflections, simply because glass and plastic reflect sound differently than carpets and seats in the car. This causes an ear fatigue and it is especially bad if you have bad speakers. On the other side, even the best speakers cannot eliminate this issue. Adding an equalizer can. Most CD players have some minor adjustments, such as bass and tremble. A professional equalizer offers you ability to smooth the sound and adjust it, especially to the interior of your car. Keep in mind that this is a mandatory step, when it comes to better sound quality. Making your own sub box may be fun, but there is a lot of space for mistakes. The most severe one are air leaks. They can destroy the sound quality. A much better solution is to buy a pre-made sub box. The manufacturer always adjusts the size perfectly for each unit, so the sound quality will be at the best level. Use or get a receiver that has a high-pass filter. This tweak removes the low bass from the sound and makes clearer and better. In addition, you can experiment with the crossover. This can solve the issue when you have the feel that the bass comes behind you. Subsonic filters are also a great way to improve the quality of the sound. However, in most cases they are disabled. You will have to enable them, in order to eliminate the bass frequencies human ear cannot hear. At the end, you will get a better sound quality. Some drivers claim that they got the best sound system for their car, but the sound quality is very low. Usually this happens due to bad AMP gain calibration. Simply said, if you increase it at 100%, the sound will get distortion. That sound quality is bad and music is almost impossible to listen. You should increase the volume up to ¾ and then start adjusting the AMP gain. When you notice that the sound quality is getting worse, back it off and you are done. This is a very simple procedure that has a huge effect on the quality of the sound. If you increase the bass and the volume to the highest level, you will get the best sound. Wrong. If you do this, you will end up with the worst sound quality. The solution is to increase the bass for just a few levels and never increase the volume up to the max. This applies to the factory and aftermarket systems. In addition, messing with the equalizer, especially while you are driving, will have a severe negative effect on the sound quality. It is better to leave it in the factory settings or to experiment while your car is parked. Keep in mind that an average sound system can sound perfectly and the best sound system can sound awful, if you mess the settings and increase the volume up to the max. A subwoofer is another, the mandatory addition to those who want to improve the sound system. They make any sound better and it is perfect for aftermarket systems. Every person, who tried using a subwoofer once, never had a car without installing it again. You can choose the best subwoofers for 2016 Here. Capacitor is a small battery, in essence. It must be mounted between the car battery and amps. It will store the electricity and then release it when the car sound system needs it. This is a mandatory addition as well, due to the fact factory electrical system in a car, cannot satisfy the need for the electricity, an aftermarket sound system requires. This addition will solve the problem with dimmed lights at night or when the subwoofer isn’t as loud as before.